For anyone who has had to travel as a requirement for their employer, or owns their own business and needs to document every expense related to their travels involving work, will need to write up an expense report. This documentation will help you successful fill out the necessary tax forms at the end of the year and it also helps employers to pay their employees for expenses in their paychecks each week. 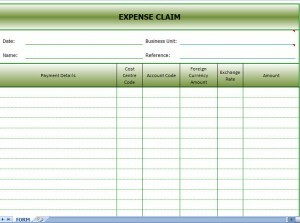 Downloading the Expense Claims Excel Template can assist anyone in need to keep track of their expenditures. Using a formatted template makes it easy for you and your employers. The Expense Claims Excel Template is a fast way to enter the necessary information without the hassle of drawing up new forms each time you need to document your expenses. This will help you monitor usages that you may be able to cut down on. First, make sure your name is entered on the template, the date and what expenses you are tracking. You may start writing expenses down and come back to it later, only to find out you forgot to list these things and then become confused on what you were tracking. Secondly, make sure you write a brief description of your expensed, whether it was a food or clothing purchase or an item needed for a specific job. Depending on what you are allowed to purchase and use in the expense report, this may be important to get credit for the expenditure. Thirdly, if there are any cost or account codes that need to be applied, enter them into the template as well. Make sure you write down the exact cost and total it at the end. 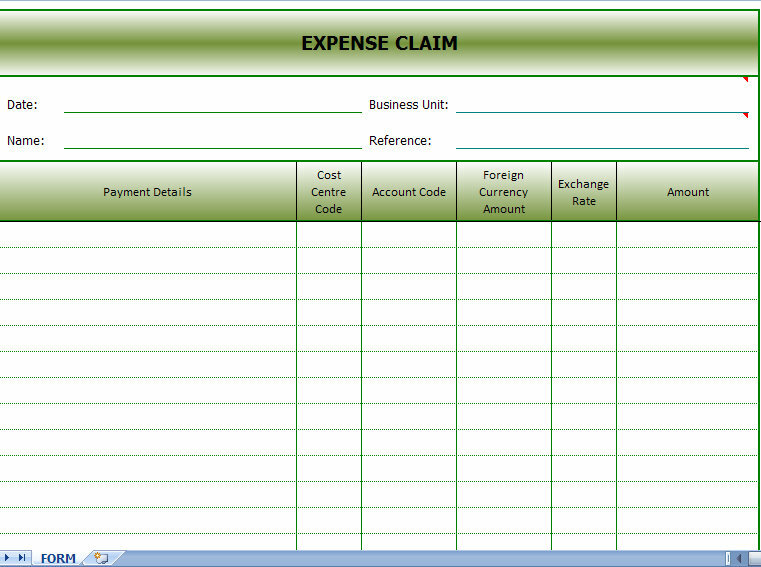 Make sure to keep your Expense Claims Excel Template handy. Carry them with you as you travel so that you can write down a purchase as soon as you buy it. That way you don’t forget to list something. Always save your completed forms, that way you can go back to them whenever you need to adjust them. Keep records of all your expenditures for at least 3 years. This is especially important for tax purposes. Take the hassle out of your life and become your very own accountant. Use myexceltemplates.com to make your life easier.